Boost your network with smarter, faster collaboration and capacity thanks to a refurbished Tellabs Titan 5500 digital cross-connect system and consolidated core switch. This DCS-CCS combo can expand the max capacity of your network to 4608 STS-1e, up from previous maxes of 3072 on older models and equipment. It’s time to give your network the improvement it needs and prepare yourself for the future with support of up to 6144 STS-1 equivalents. 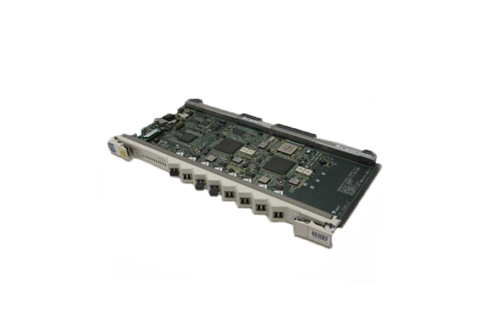 Grab a used Tellabs Titan 5500 from Worldwide Supply to give yourself a standalone system for remote deployments or add it as an expansion switch matrix for your existing DCS SCS systems — with support for other Titan 5500s, Tellabs models and some third-party options. The Tellabs Titan 5500 DCS switch matrix needs just a single shelf for the main unit with a two-shelf requirement for redundancy. This includes a fully redundant switch matrix plus a set of Administrative Complex shelves that will take up two bays total — a significant decrease from the nine bays required for a SCS 3072 deployment. An additional layer of equipment will also bring your used Tellabs Titan 5500 SCS to an over-4,000 core size, enhancing your savings without requiring a lot of extra space. For used Tellabs Titan 5500, Worldwide Supply checks the equipment in state-of-the-art lab settings to ensure that everything we offer will exceed OEM standards. Plus, we back up our work with a leading warranty and offer some of the fastest shipping and best maintenance packages you’ll see. If you’re working with a large network and replacing a lot of gear, be sure to ask us about a platform-agnostic maintenance plan that won’t keep you running in circles between different OEMs.